Closeouts. Sporty, stylish and cleat-free, Puma’s Monolite El Ray golf shoes use SmartQuill® rubber grips to provide excellent traction on the fairway and low-profile comfort off the course. 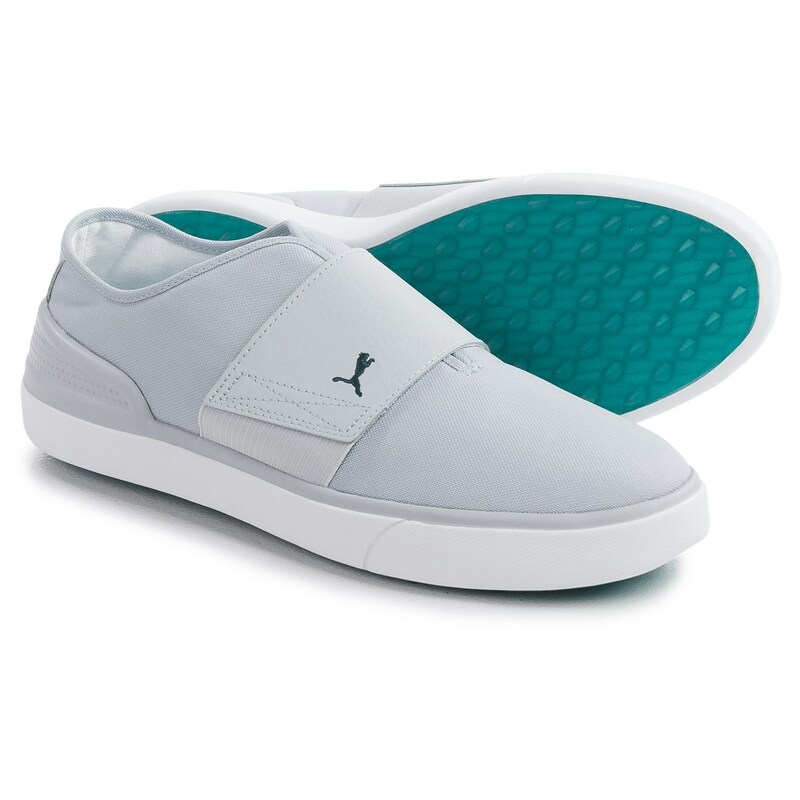 Its modernized profile and slip-on design can be appreciated by golfers of all ages.